The succesful implementation of a knowledge management approach in an organization is inherently difficult and risky. 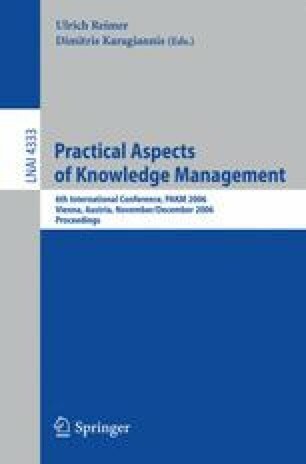 This paper presents, in the form of organizational patterns some concrete advice that will improve the possibilities of a knowledge management initiative to survive the implementation phase. The sources of the advice are a number of case studies that were carried out in private and public organizations.